If yo'u'd like to help the San Tan Valley Right to Vote committee, click here. Banner Ironwood has been a part of the San Tan Valley community since it first broke ground in 2008. 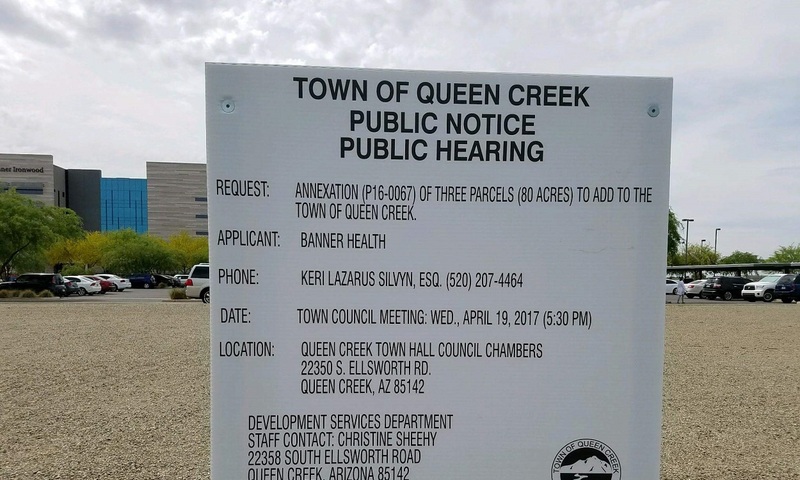 Unfortunately now that San Tan Valley finally has the right to determine its own future, the Town of Queen Creek is rapidly trying to annex many commercial properties, including Banner. The only entity that can stop Banner from being annexed is Banner. This is where your voice matters. Tell Banner Ironwood that you want them to stay in San Tan Valley by signing the petition below. This petition is being emailed to the CEO of Banner Ironwood as well as a number of top executives at Banner Health. Tell them how you feel about Banner and what Banner leaving San Tan Valley means to you.